This weekend we are hosting some friends for a little pre-Christmas get together, and all I can think about is making a warm gooey yet crunchy delicious seasonal crumble! Apples are everywhere at the moment, so are pears! I made this a few weeks ago and completely forgot to share it with you, so here it is! My apple, plum & blackberry crumble. 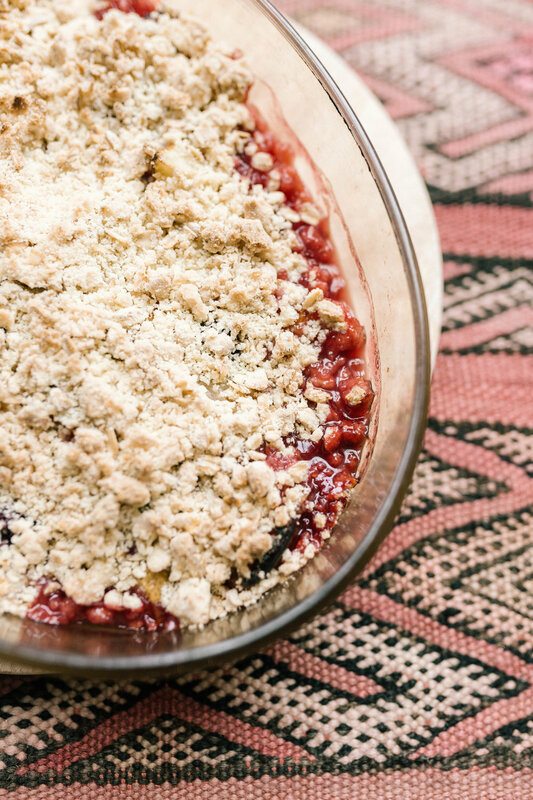 Crumble is something I’ve been making with my mum since I was a little girl, it’s one of the easiest desserts you can make, it takes very little prep, and everything goes! I’ve made crumbles with so many different fruit, pick whatever is in season and works well together. I love to add a handful of frozen berries too for the pop of colour and added antioxidants..! Preheat your oven at 180C on fan. 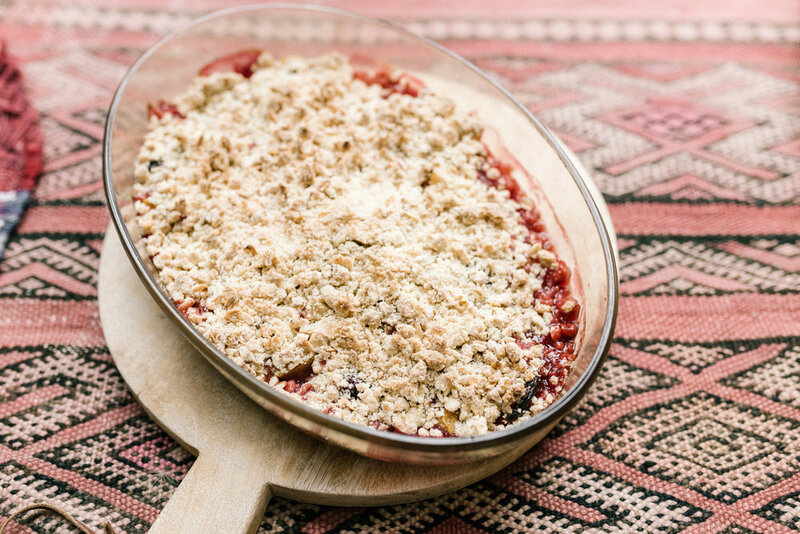 Crumble the topping on top of the fruit and place in a pre-heated oven at 180C on fan for around 40 min or until the fruit is cooked through and has softened and your crumble is looking deliciously golden and crispy. Let me know if you make this over the weekend! I am planning on making this on Saturday night with whatever apples and other seasonal fruit I find at the market that morning, it’s going to be delicious! Saturday is also the day we decorate our tree for Christmas…!! I CANNOT WAIT!